DIAMOND V – XPC The Animal Supplement for Life !! "It was the human health aspect, however, that I was—and still am—most interested in. When Diamond V checked their health claim records, they found something very peculiar. The plant workers, who came into contact with the yeast products, weren’t getting sick." This article by Dr David G Williams was republished by Nutrition and Disease, morrischuck@earthlink.net. 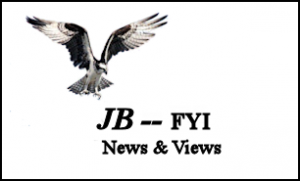 From Dr Williams: “A few years ago I got a very interesting call concerning an animal feed supplement. It involved a company called Diamond V Mills located in Cedar Rapids, Iowa. They make an animal feed supplement from a fermented yeast culture. Supplements like this aren’t unusual. Numerous companies manufacture and/or sell either baker’s yeast or yeast cultures to add to the feed of horses, cattle, pigs, sheep, goats, and chickens. Diamond V has been doing so for over 60 years. This call, though, had to do with the health of the employees at Diamond V—not that of the animals being fed their products. “From all indications, it appeared that the employees, who were being exposed regularly to dust from the yeast culture during its production, had been experiencing significant health benefits. Over the last couple of years this has become public knowledge, but when I first started looking into the matter no one at Diamond V seemed to want to talk about it. The “official” word was that their products were manufactured for animal consumption only, not for humans. Later I was told that clinical and laboratory studies with humans were underway, but results from those tests weren’t yet available. Even later, I discovered the company was in negotiations with others regarding marketing their product for human consumption and couldn’t discuss the matter with me. “All of the studies up to that point involved farm animals. And for over 60 years, as a feed supplement it has performed well—very well. It improves digestion, muscle weight gain, litter weights, milk production, conditioning, and even survivability in all the various animals it’s been tried on. Some of the studies I reviewed are over 20 years old, and in not one of those studies could I find any ill effects or downside to using the material. I spoke with several companies that incorporated the yeast product into their custom animal feeds, both here in the US and in New Zealand. Everyone seemed to like the product. I began to use it on my ranch as well, and continue to do so. 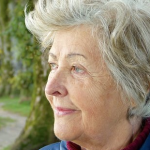 “It was the human health aspect, however, that I was—and still am—most interested in. When Diamond V checked their health claim records, they found something very peculiar. The plant workers, who came into contact with the yeast products, weren’t getting sick. The support staff (accountants and the like), however, took sick leave at rates that were comparable to most companies across the country. After accounting for all the other possible factors, it appeared the improved health of those in the production plant could be traced to their repeated exposure to the fermented yeast culture dust in the production plant. Subsequent interviews revealed, time and time again, that an employee’s health picture often changed dramatically after coming to work at Diamond V Mills. Some, despite experiencing yearly flu and colds in the past, reported they had not had either in the years since they started work at the plant. “The vice president of operations is married to an ER nurse. Before taking the job at Diamond V, he, his wife, and his children routinely came down with colds, flu, and other infections—undoubtedly brought home from the hospital by his wife. He took the job with Diamond V nine years ago, and he hasn’t experienced colds, flu, or an infectious disease for the last seven years. His wife and children, however, continue to succumb to several infections each year. “Another employee, along with his twin sister (who didn’t work at the plant), was diagnosed as having the congenital disease retinitis pigmentosa (RP)—a condition that eventually leads to complete blindness as clumps of pigment begin to accumulate on the retina. There is no medical treatment. 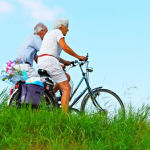 Vision generally begins to fail when one reaches their 30s, and blindness is typical within 15 to 20 years. After 30 years of working in the dusty plant, this employee’s RP hadn’t progressed at all—while his sister had lost 90 percent of her sight. “The story was pretty much the same for the other 35 individuals who worked in the plant. Some hadn’t experienced a cold, flu, or other infection in 25 years. Others reported improvement in chronic allergy conditions, autoimmune problems, gastrointestinal health, and numerous other conditions after starting work at the plant. “In past articles I’ve discussed at length the importance of natural killer (NK) cell activity. NK cells are your immune system’s first line of defense against invading pathogens or cancer cells. Researchers found that NK cell activity increased fourfold following continued increased efficiency allowed the immune system to perform at superior levels with fewer NK cells— sparing the body the stress and expenditure of having to produce more NK cells. “It also improved the ratio of immune helper cells to suppressor cells. In the simplest terms, helper cells (CD4 cells) are crucial in coordinating the response of the immune system to pathogens. They activate other immune cells and stimulate the production of antibodies. Suppressor cells (CD8 cells), on the other hand, help maintain a balance so your immune system doesn’t “over-react.” They stop an attack. Individuals taking the yeast culture also exhibited higher levels of antibodies, indicating their immune systems were more effective. “What I believe to be one of the most important findings of all has to do with levels of what’s called IgA. “I have yet to uncover any downside to using this product on a regular and continuing basis. One of the strongest attributes of this product is the fact that it balances the immune system rather than acts as an immune stimulant. This is an extremely important point to keep in mind. “Individuals who suffer from what are called autoimmune diseases can make their condition worse by taking anything that overstimulates their immune system. Their immune systems have lost their ability to distinguish normal healthy cells from pathogens (bacteria, viruses, fungi, parasites) and will readily attack healthy cells. For example, in type 1 diabetes, the immune system destroys the islet cells in the pancreas that produce insulin. In rheumatoid arthritis it attacks the joints. Other examples of autoimmune disease include multiple sclerosis (MS), systemic lupus erythematosus (SLE), and Graves disease. “This is a product you can (and should) take on a consistent basis to help keep your immune system balanced without overstimulation. “Since it’s not a stimulant, it wouldn’t be used as a “treatment” for some acute problem like a cold or flu. Instead, it’s something that can be taken continuously to prevent a cold, flu, or other infection from happening in the first place. It’s a maintenance-type product that has a long history of being safe and effective for long-term use. “Diamond V Mills has a few different cultured yeast products for animals; the formulations are essentially the same except for their concentration. The most concentrated, and the one I use and recommend, is called Diamond V XPC. It’s based on the yeast Saccharomyces cerevisiae. The medium on which the yeast is grown consists of processed grain byproducts, roughage products, cane molasses, malt, and corn syrup. (The natural sugars are necessary to feed the yeast.) The yeast they use is also commonly referred to as baker’s yeast or brewer’s yeast. It is one of the most researched yeasts and has been used for centuries for making bread, beer (particularly ales), and wine. 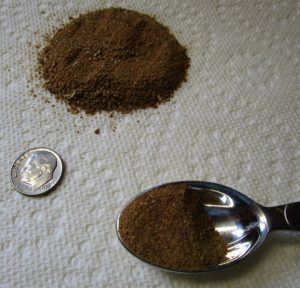 Diamond V reportedly utilizes a proprietary technique to both grow and dry the yeast, which helps maintain its health-promoting benefits. company literature says that EpiCor and Diamond V XPC are somewhat different. There are a number of differences I’m sure of, and a couple I can guess at. “For one, the company says the drying process is different so the product retains more of its antioxidant capability. From the company’s product specification sheets I’ve obtained, it appears that the EpiCor may also have a higher protein level. “Based on the information I’ve received, I’ll speculate on another difference. After introducing the EpiCor branded product, Diamond V Mills released a new version of the animal product XPC called XPC LS. The LS product is designated as suitable for use in organic production. The production difference seems to be that the grains used in producing the yeast culture are non- GMO grains (genetically modified organism). This would lead me to believe that the EpiCor product is also probably produced using a non-GMO base as well. 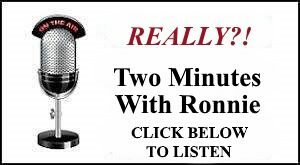 multiple phone calls, this is what I confirmed with the Diamond V folks in Cedar Rapids, Iowa. She stated that Diamond V-XPC and Diamond V-XPC LS are the same strength, it’s just that the LS is made with non-GMO grains. 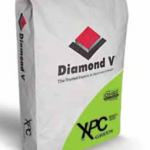 It was inferred that the “Green” organic Diamond V-XPC was also the same strength. This matters because Dr Williams distinctly mentions strength as one of the differences between EpiCor for humans and Diamond V-XPC for animals. 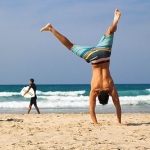 “The biggest difference I see between the two products, however, is the price. A 30-day supply of EpiCor (consisting of thirty 500 mg capsules) sells for anywhere from about $20 to $50. 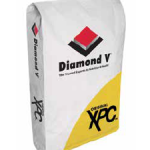 A 50-pound bag of Diamond V XPC sells at feed stores for anywhere from $1.50 to $1.75 a pound. “From the company’s point of view, a significant difference is that EpiCor is made in a food-grade facility, while the Diamond V products are made in a feed-grade plant. I’m sure that matters to the FDA, but it doesn’t matter to me. “EpiCor has the FDA safety status of Generally Recognized As Safe (GRAS). XPC doesn’t, but then products for animals generally don’t. 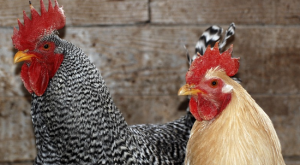 The approval process is lengthy and expensive, and not necessary for animal feed. Nevertheless, both are obviously safe, nontoxic, pesticide-free, and non-mutagenic. They both have the same reported shelflife: a minimum of 24 months from the date of manufacture. 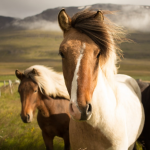 “Recommended dosages for XPC vary significantly depending on the size of the animal. For example, a racehorse might be given 14 grams a day, whereas an ostrich might be given only 3.5 grams a day. The company’s literature obviously doesn’t provide dosages for human use, but, if you use body weight as the determining factor, I would guess the dosage for an adult human would be somewhere in the ballpark of 2 to 3 grams a day. A child’s dosage would probably be anywhere from ½ to 1 gram a day. 3/5 of a Teaspoon (3 grams) in 2 or 3 ounces of water suggested Daily. “At the time the company first noticed the effect the product had on humans, they carried out tests to see approximately how much was being taken in daily by the workers. Diamond V used the results of these tests to determine the dosage of EpiCor to be ½ gram per day. Based on the dosage figures I mentioned earlier, a daily dose of EpiCor, from the least expensive supplier I could find, would run about 66 cents. “I’m sure the company won’t like the comparisons I’m making, but the facts are there. And for several reasons they can’t recommend that humans use XPC. But it wasn’t EpiCor that bestowed all the end benefits on the employees at Diamond V Mills; it was the lesser concentrated animal products, and those products have been used successfully on all types of animals for over 63 years without incident. Like it or not, we too are animals. 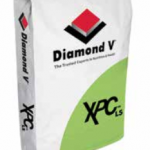 This is available from animal feed supplies as Diamond V XPC. A 50 lb bag costs about $1.50/lb = 1.1 cents / day. The dosage of XPC that’s equivalent to half a gram of EpiCor is about 3 grams. That higher daily dosage of XPC, at the highest price, would cost just over a penny a day. END. The healthy animals and people pictured above are only representative of using Diamond V – XPC. The current 2018 price in southern Oregon is $99 for a fifty pound bag. 3 grams is just over ½ teaspoon. Diamond V-XPC products do not dissolve; they form a slurry.